A terminal (03056C00) at Zephyr Ridge Camp is supposed to be connected to two spotlights, yet the screen is entirely blank when trying to access the terminal. 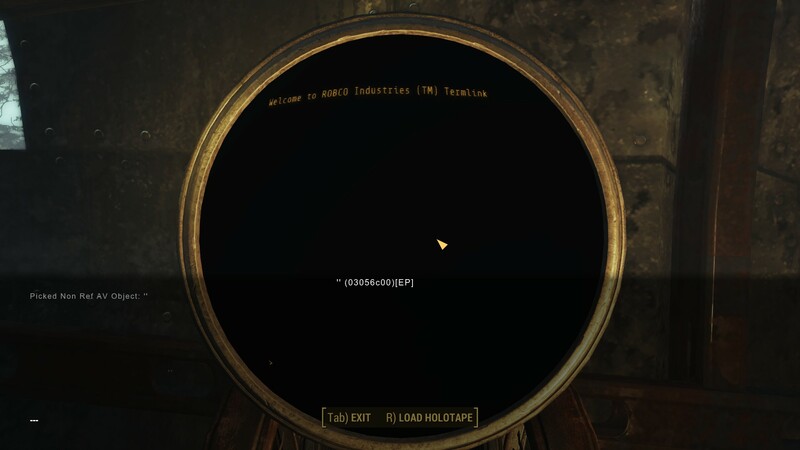 There is an option to insert a holotape like there should be, but there's no spotlight control menu like you would expect there to be on a terminal that is supposed to be controlling them. Obviously, something isn't set up right, but I haven't been able to figure it out.